What Is KingRoot-One Click Android Root Tool? Download KingRoot for PC: Rooting of an Android device at one point becomes a most necessary thing, when you are getting the problem on your phone, very often. It not only gives a new life to your firmware but battery as well. Besides the fact, rooting is not a beginner’s task; you need to have some kind of expertise regarding rooting. But, with Kingroot it has become like the piece of Cake, even a kid would be able to root a mobile phone with this tool. 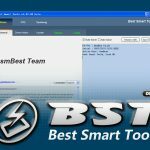 This is the kind of tool, which will root your device, just by connecting it to your pc. You just need to have a PC, installed Windows and all essentials drivers. Kingroot should also be installed in your system, connect your PC and click the root button that is it, your device will be rooted in the blinking of an Eye. 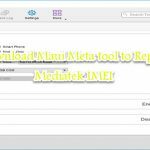 How to Root Android Devices Using KingRoot Tool? As I mentioned above, even a kid would be able to root a device using this tool. But, you need to care something before starting root. Like your device should be enabled USB debugging, as it would not connect your device if you have not enabled the option. Then, your security should be changed, somehow, like you need to check the unknown sources button, in this way you would be able to start rooting. Before rooting any device, take care of one thing more than others; always make a backup of your files. As, if there would be some problems or errors in rooting, you could install the backup. Double click the setup file, and allow the installation, it will ask some question, give the appropriate answers. And root your device, by clicking the button “root”. Moreover, this tool also got the feature of backing up data; you can make a backup by using this tool as well. So, the question is why someone would like to root a device, or what the benefits will be after rooting a mobile phone? Rooting of a phone will remove all the bugs and errors you would have been handling. Like shutting down your phone, camera errors, memory errors, slowing down the problem of the phone, not taking any snap etc. There is nothing like particular device, that could be rooted with this tool, every version, and every brand will be rooted with this tool. But, there might be some model or phones, which will give some errors while rooting. Like some HTC sets were getting problem while rooting, but there are handful names which are not rooted with this tool. Before rooting of a phone, always take extra care of everything, gather all the necessary equipment. Fully charge your mobile phone before using this tool, and do not forget to enable USB debugging on the phone. This was the little info regarding Kingroot forPC; you can download the tool to install on every version Windows. There is nothing like difficult to root a phone with this tool, just move your fingers and do the task. We already have given a download link at the bottom, tap the download button and get the file.